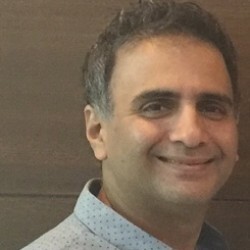 Mr. Danesh Vazifdar is the owner of a commercial Dental Laboratory in Mumbai under the name of ADARO DENTAL LABORATORY, which specializes in Crown Bridge and Implant Dentistry fabricating prosthesis in Metal ceramics as well as Metal Free ceramics including state of the art CAD CAM Ceramics. He is a Master of Oral Implantology (Msc Implants Ger) from Frankfurt Germany at the Goethe Universitat, Klinikum. He is a faculty member in Dr TURNERS’ SPECIALITY DENTAL CENTRE – CDE COURSES. Has done his basic learning and experience in the USA and CANADA and has specialized in Metal ceramics and ALL CERAMICS. Trained with VITA in Germany on metal ceramics and sintered ceramics in 1999. Trained with Dentsply, in the USA on Metal Ceramics and Pressable ceramics in 2000. Trained on Crown and Bridge Waxing Techniques through Schuler Dental, Germany 2002. Trained with DENTSPLY ASIA in Hong Kong on Advanced Metal Ceramic techniques and Pressable ceramics 2003. Trained with Nobel Biocare in Restoring Implants Curriculum of Procera Personalized Prosthetic Dental Implants 2006. Has Co authored book on Art and Science of Aesthetic Dentistry along with senior author Prof. Dr. Porus Turner and has three publications in national dental journal. Has presented on ALL ceramics and Metal Ceramics at the following Dental institutions in India. •A B Shetty College Of Dental Sciences, Mangalore. He was invited as a guest lecturer for the Nobel Biocare World Tour, 2008 at Mumbai to speak on the topic of “Aesthetics with Zirconia and Alumina”. His case presented on “Anterior Aesthetics” at the World Tour 2008 Poster Presentation won the first prize which was adjudged by an international panel. He is on the editorial panel of the premier journal “Dental Technician” and has contributed many articles for the same. He regularly lectures and presents on Dental technology techniques at various Conferences and Dental Laboratory setups in India and abroad.